All these questions are answered by John Rodriguez from Rooter Drain Expert Inc. Located in Los Angeles California. John is a licensed master plumber with 20 years of experience in the plumbing industry, his advice is very reliable and comes from years of dealing with plumbing repairs in Santa Clarita and Los Angeles Area. Note: The Rooter Drain Expert has put these FAQ page together to try to help home owners dealing with everyday plumbing problems. Calling a professional plumber is advised to properly diagnose and repair any plumbing issues. Rooter Drain Expert is not responsible for any issues that may arise when a home owner is trying to be a plumber. Always call the pros! Santa Clarita kitchen disposal problems! Can you put anything down the disposal? The average homeowner does not know that the blades inside the garbage disposal are not sharped and won’t cut. My experience as plumber shows that many times when I arrive at a service call for a clogged kitchen drain, it was because someone stuffed lots of rice, onion peals, banana peels, coffee grinds or eggshells down the disposal and right after that the drain stopped working. My advice is to keep all these stuff out of the disposal and put it in the trash, my Granma always told us this and she was right. The disposal may push it down the drain but will get stuck inside the pipes or the disposal may get jammed. Most disposals will take very little abuse of this stuff and even the most expensive disposal will jam or become clogged. Note: Don’t believe everything you read when buying a disposal you will find out the hard way that it didn’t grind bones as you were told. Why do I need a disposal? The disposal helps to create pressure and the small food particles are pushed down to the main drain so that your sink doesn’t back up every day. You need the disposal for your kitchen drain to work properly since this is where the dishes get washed. But don’t just put anything and everything down your kitchen drain. This is the best advice we can give you! What faucet do I need? 2 handle, single handle or wide spread faucet? When replacing your existing faucet the 1st thing to do is to see what type of faucet you already have. If you have a 2 handle kitchen faucet there are different 2 handle faucet designs, same goes for the single handle or widespread types. 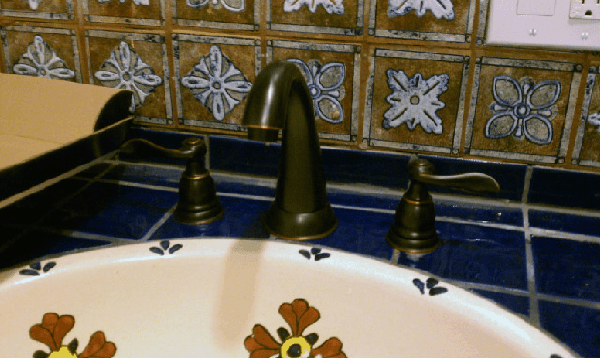 Depending on the type of sink you have you may be able to upgrade to a different type of faucet. The best thing to do is look at what you already have and then try to find a different look if this is what you are looking for. Same rules apply to any other faucets for the lavatory sink, kitchen or even the shower or bathtub. The one pictured is what we call a widespread faucet as handles are separated from the main body. You can find these faucets in your kitchen sink as well as they are very popular. How do I turn the water off in an emergency leak? If you are facing an emergency plumbing leak in your Santa Clarita home. One of the things you need to know is that your house should have a water main shutoff, which should be located next to one of the walls. 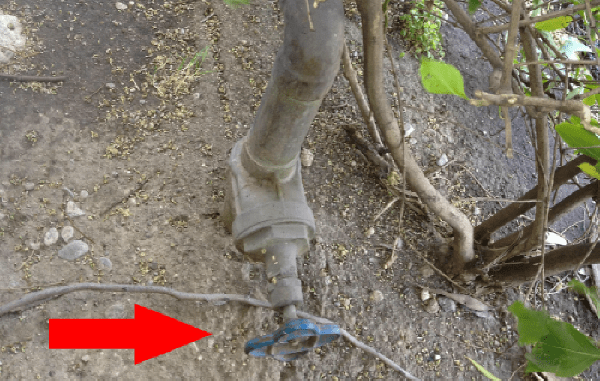 The best way to find this is to locate your water meter usually the main shut off will be aligned with the meter location now you have to look along your wall if this fails there is a shutoff at the meter. To turn the water off at the meter you may need a special meter key/tool. You can always call the water department as well or your local plumber. Some cities actually required that you call your water company because if you break their valve you could be held liable for repairs. A professional plumber will know what to do or who to call if they need to call in your water department. Pictured below is what most shutoff valves look like in a home. It is always wise to know the location of this valve. Rooter Drain Expert can perform a plumbing inspection for you to help find the location of your important plumbing system valves. Do liquid drain cleaning products work? The 1st thing to do is read the instructions. Most of these products are designed as preventive maintenance some advertised to clear clogged drains. Once you notice a slow drain then you can try and use the liquid drain cleaners. 95% of the time if the drain is already clogged and the water is not going anywhere chances are that it will not work. In my years of plumbing, I can’t even count how many times I walked into a home where the homeowner had a clogged drain and they had use liquid drain cleaners off the shelves just to find that they didn’t work. If this is the case you should call a professional. Rooter Drain Expert is the local Santa Clarita Drain cleaning expert, while we offer all types of plumbing services clogged drains are our specialty. We provide free plumbing estimates anywhere in Santa Clarita, CA. Call us at 661-641-4165. P-traps are required by code for sinks, bathtubs or showers and some other drains depending on where you live. A p-trap forms a water seal that prevents backflow of air gas/bad sewer smells from the sewer line while allowing for the flowing of liquids. Without a p-trap, the inside of a home will smell like sewer 24/7. Some p traps are visible if you look under your sinks, some you can’t see as they are underground or under your flooring. For example, every shower or bathtub drain has a p-trap that seats right under the drain. This p-trap is one of those you can’t see and are hard to access in most cases. Making sure your p-trap is properly working should be a top priority as unseen leaking p-traps can cause water damage and bad smells. What are those pipes on my roof for? Those pipes are the ventilation system for all your drain pipes. Vent pipes allow methane and other nasty gases to escape out the roof, rather than inside your home kind of like a p-trap. The ventilation system is there for all the sewer smells to go out on the roof. They are not a clean out access to clear your drains. Some homeowners believe that a plumber can use these pipes to clear drains. True be told, the pipes on top of your roof are not designed for drain cleaning, after so many accidents from plumbers falling off roofs, or getting hurt while trying to carry heavy equipment up the roof most companies have stopped this practice of using the vents to clear your drain pipes. It’s true a drain cleaning machine will go in from the roof and into the drain system, but it will not work as well as a ground level clean out. It is dangerous to try and clean a drain from the roof. Rooter Drain Expert knows how to properly clear your drain lines, we are always happy to help and can be reached at 661-641-4165 for a free quote! Why does my shower/tub keep leaking? The 2 main reasons for leaks are #1 simply old faucet worn out parts. #2 high pressure coming to your house every faucet is designed to operate on a minimum of 20 psi and a maximum of 80 psi. if the pressure is more than 80psi a more serious problem than just old parts could be happening at this point you should always call licensed plumbers. A professional plumber will be able to diagnose the problem and give you a solution. 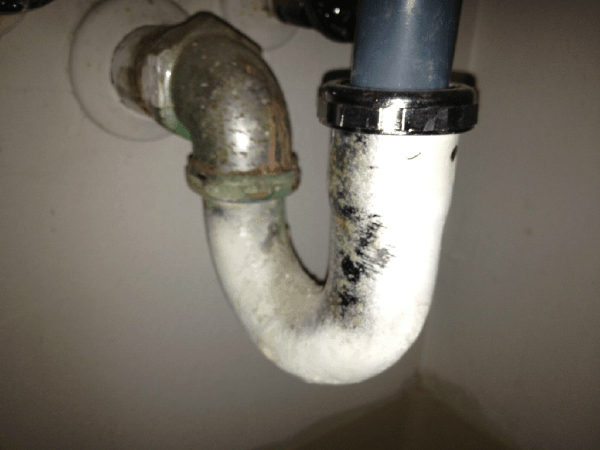 Should I as a home owner do a plumbing job or hire a plumber? A licensed plumber will know plumbing codes. A licensed plumber will pull all the necessary permits and will make sure all installations are safe and will work properly for years to come. As a home owner you should always hire a licensed plumber unless you are sure 100% that you can do the job up to code and following the necessary safety precautions. You also need to make sure a plumbing license is not required for the job you are trying to do, in most cases a plumbing licensed will be required. What can I do if I have low pressure on my shower or faucets? Many times this is a small problem that many home owners should be able to fix. Cleaning a faucet aerator and shower head should do the trick. Minerals in water can build up and clog the shower head and aerators. Remove your shower head and aerator and inspect it for buildup. Clean each small hole with a small pin if this does not work then is a much more complicated task where you will need a plumber to diagnose the cause of low the water pressure. What should I know about the plumbing in my house? No matter how carefully a system was installed, pipes will always burst, showers or toilets will overflow leaks will happen. As a home owner you must remain calm and know where you main water shut off is. You must also know where all the individual water shut offs are for all other fixtures.